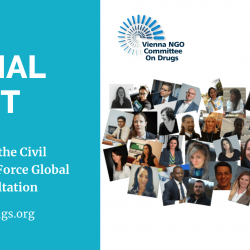 We are looking for Civil society speakers for the CSTF Civil Society Hearings in New York and Vienna in the beginning of February 2019. The list of all member organisations as per November 2018 can be found here. Our members come from all regions of the world: If you find that the information about your organisation is no longer up to date and should be changed, please get in touch at info[at]vngoc.org. Thank you for your cooperation! 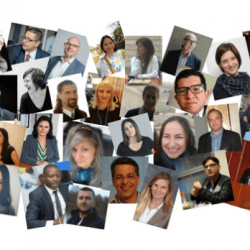 At the October and November intersessional meetings of the 61st Commission on Drugs (CND) 22 civil society experts shared their work and viewpoints with the commission on various issues. Read their statements and watch their video messages! 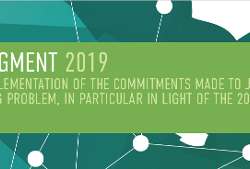 We are proud to announce that the CSTF has launched a Global Online Consultation focused promoting civil society perspectives at the 2019 Ministerial Segment. At the September intersessional meeting of the 61st Commission on Drugs (CND) 15 civil society experts shared their work and viewpoints with the commission on various issues. Read their statements and watch their video messages!